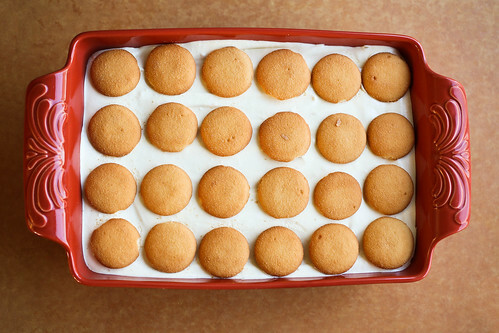 Banana pudding is a family favorite around here. We love to make it for get togethers. 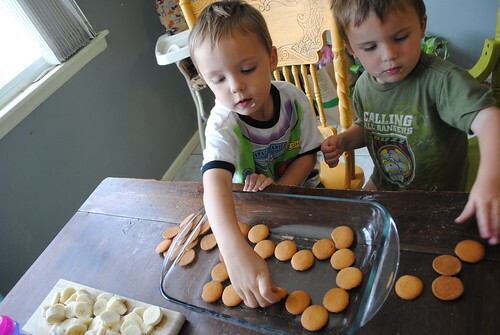 It’s so easy and delicious, and our kids love to make it with us! 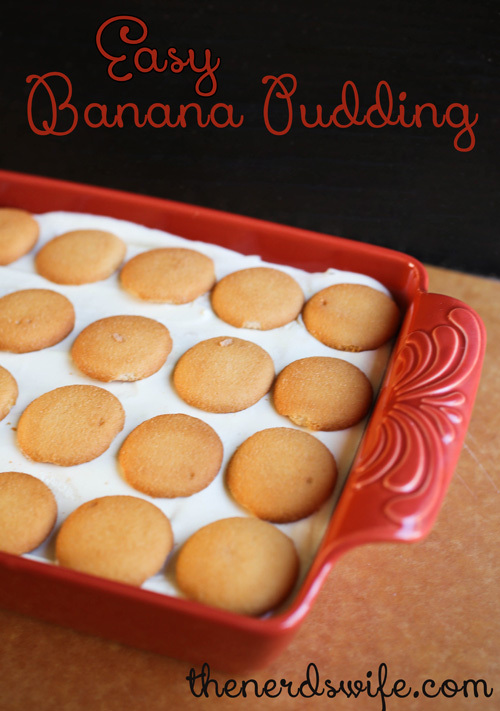 This banana pudding is delicious and creamy, and is one of my holiday favorites. 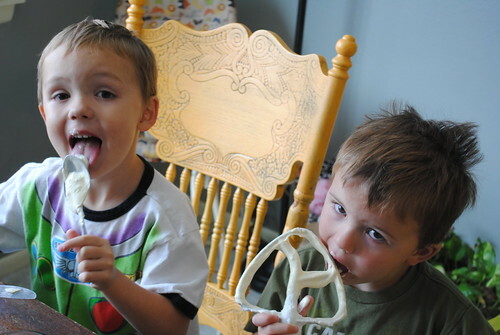 It is so simple — my kids did most everything in making it and they had a BLAST! Two very happy boys! 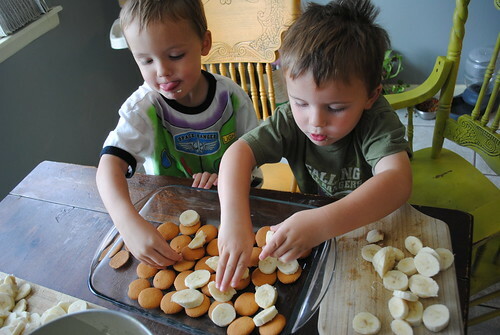 You can see that banana pudding is definitely a favorite in our house. 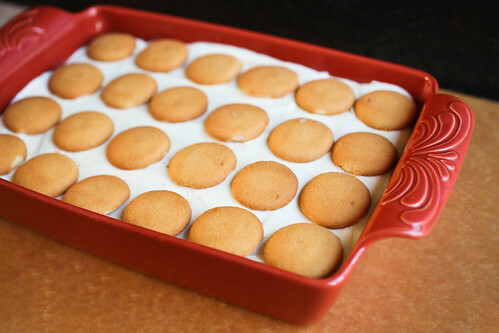 Lay vanilla wafers in a single layer in the bottom of a 9×13-in glass dish. 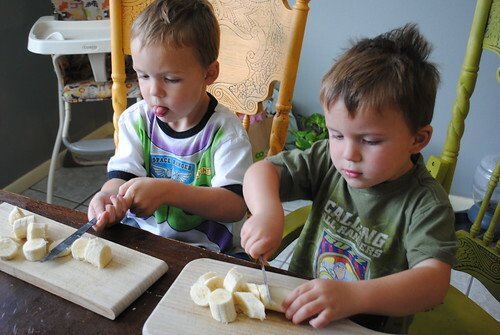 Add a single layer of sliced bananas on top. In a medium-sized bowl, whisk together the pudding mix and milk. Set aside to thicken. In the bowl of a stand mixer, cream together the cream cheese and sweetened condensed milk until smooth. Fold in the Cool Whip. 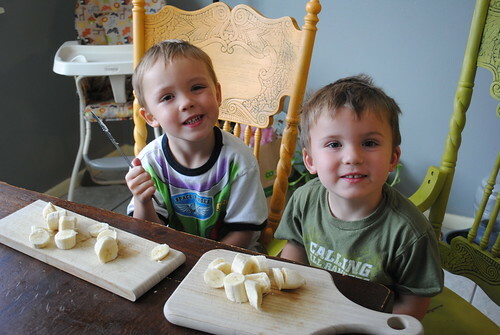 Stir in the pudding mixture, then pour over the top of the sliced bananas. Chill at least three hours. Top with another layer of vanilla wafers immediately before serving.